All products listed on our website have been AFSA approved. 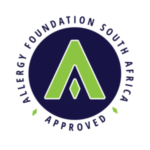 AFSA Approval means that the product had been shown to be efficient at reducing allergens from the environment or the products have significantly reduced allergen or chemical content in accordance with the AFSA Certification. Solenco SA is very proud to be able to offer to the South African market the leading Air Purifier in Europe. The Airvax Air Purififier by Meaco offers protection against the finest dusts, exhaust gases from cars, VOCs, virus, MRSA, moulds, bacteria, tobacco smoke, carbon monoxide and pet dander. 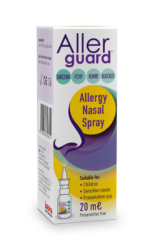 AllerguardTM Allergy Nasal Spray with Ectoin and Natural Sea Salt Ectoin® - forms a calming barrier in the nasal mucosa. Preventing any further airborne allergens to enter the nasal mucosa. Natural Sea Salt (saline) - Sea Salt solution cleans and irrigates the nose, Helping to remove the allergic pollen from the nose Ectoin® is regarded as an extremolyte, a natural compound from extremophiles (microorganisms that thrive under extreme environmental conditions) that has been adapted for versatile applications. Ectoin® is an organic osmolyte derived from these extremophilic microorganism that has a unique application as a cell protectant and protein-free stabilizer of proteins and cells. 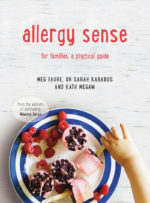 A passionate team: an allergy specialist, a paediatric dietician, and an occupational therapist collaborate in developing a practical way to guide you, sorting the noise from the science and helping your family thrive. Includes over 70 delicious foolproof recipes using simple and inspiring ingredient combinations with minimal equipment and quick preparation times. 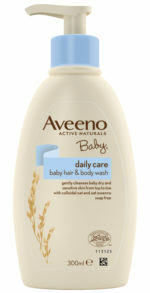 The Aveeno® Dermexa range is scientifically formulated to help manage extra dry, irritated skin. Developed with dermatologists, this mild, fragrance-free formulation is clinically proven to soothe extra dry and irritated skin. For skin that is softer, more comfortable and feeling healthier every day. Bennetts Baby Moisturising Cream has been specially formulated for babies and children suffering from eczema and dry skin conditions. Our formulation contains no SLS, Fragrances or Parabens. Bennetts Baby Moisturising Cream contains Cetomacrogol which is known to lock moisture into skin. Bennetts Baby Moisturising cream is ideal to use as a soap substitute or as a base cream to mix ointments with.